Throwback Thursday: Are the DIY Market's Best Days Behind Us? Throwback Thursday: Are the DIY Market’s Best Days Behind Us? Editor’s note: In the spirit of “Throwback Thursday,” Counterman is firing up the time machine and setting the coordinates for 1994. This feature article by Larry Boevers appeared in the February 1994 issue. William Shakespeare once wrote that “a rose by any other name still smells as sweet.” And whether you call it “retail,” “walk-in” or “do-it-yourself,” jobbers have enjoyed the fragrance of a very sweet market niche ever since Henry Ford thought it might be a neat idea if auto parts were standardized so car owners could handle some of their own repairs. Admittedly, the assembly line was probably the foremost reason for his thinking. But because of his foresight, over $15 billion worth of replacement parts and accessories being bought in this country each year are by car owners who install them themselves. All this means to a typical jobber store is approximately 30 percent of his gross revenues – certainly nothing to scoff at! Although this segment of the aftermarket is still quite substantial, there are many who feel the bloom may be off of the rose. For many reasons, the DIY market arguably may have seen its best days. Don’t get me wrong. As long as there are automobiles and people with the mindset of my 5-year-old daughter (“Daddy, I can do it myself!”), there will always be a DIY influence on the aftermarket. Technology, demographics, economics and environmental concerns, however, have played a part in changing life under the shade tree. And, they are all reasons for us to evaluate how we are to address the DIY market. I’ve heard, “They just don’t build cars like they used to.” Well, no one can argue that point. The fact is, they make them better! Much better. Today’s cars possess technology that automotive pioneers never could have dreamed of, and as a result provide car owners with performance and reliability unparalleled in history. The downside of that scenario is that many car owners today are cheated out of a dying piece of Americana – they joy of working on their own cars. America’s love affair with the automobile did not just come from experiences behind the wheel. America fell in love with the automobile also because of experiences under the hood or lying between a pair of jack stands. Today, many of the repairs that would have leisurely been done on a Sunday afternoon in the driveway are beyond the capability of the average car owner. The computerization that now controls many automotive systems prohibits many would-be DIYers from working on their own cars. Many of the strongholds of the DIY product mix may have given way to their modern-day successors as well. Points and condensers have given way to computerized ignition systems. Cross-type U-joints are being edged out in favor of constant-velocity-type joints. Shock absorbers have been replaced by MacPherson struts, and carburetors soon will be all-but-forgotten as fuel injection becomes the rule instead of the exception. Even a simple repair like replacing a fuel pump now often requires removal of the entire gas tank. With the advent of antilock-brake systems (ABS), DIYers must tread lightly when tackling a brake job. Many repairs that once were capable of being performed with common hand tools now require expensive specialized equipment. As carmakers continue to invest millions of dollars in research and development, it is certain that as automobiles become even more reliable, they also will become more complex. As we look further at the DIY market, cars and their components aren’t the only things that are changing. The DIYer is changing too. Males between the ages of 18 and 25 traditionally have made up the majority of the DIY market. Today, the population of the United States is aging, and there are simply fewer people in this category. And since working on a car does, at times, require some physical strength and flexibility, as people age, much of the enjoyment that once was there when crawling under a car diminishes. Nowadays, if a 25-year-old man tells you he’s going home to play with “his baby,” he probably isn’t talking about his ’65 Mustang. He’s probably really going home to play with his baby. As time becomes more valuable, much of the work done on cars is done on a “have-to” instead of a “want-to” basis. Unfortunately, there is an enigma in the automotive world that many repair facilities are out to rip off car owners. There have been many well-publicized cases of unscrupulous garages doing unnecessary repairs, overcharging for repairs or even charging for repairs that were not even performed. This, combined with an ever-rising flat rate, has caused many car owners to equate “having it done for them” with “having it done to them.” Many feel that by doing their own car repairs, at least they can know for sure what has been done. 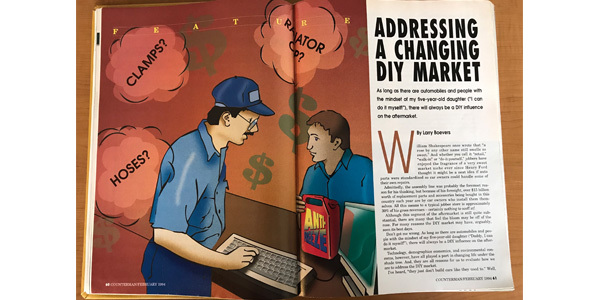 There are countless economic conditions that affect the DIY market from the jobber’s point of view as well as from the view of the DIYer. Automobiles always have been a big investment, and with the exception of a home, your car or cars will require a larger share of your disposable income than anything else you own. The reason I view it as insurance is that car buyers, realizing that technology has outpaced their own aptitude, have begun to pay for the privilege of not having to work on their own cars. They realize that not only are many of the parts covered under these warranties very expensive, but their ability to diagnose their failure and effectively replace them has diminished due to rapidly changing technology. In that vein, some people are opting to pay extra “up front” so that expensive repairs later won’t devastate them. Thus, insurance! The economic viewpoint of the jobber to the DIY market is critical and reinforces the reasons we should continue to actively pursue this market. Obviously, if you are like most stores that enjoy approximately 30 percent of their sales volume from the do-it-yourselfers, you will want to keep that segment of your business alive. It isn’t until you stop and dissect that 30 percent, however, that you realize how critical it is to keep it. 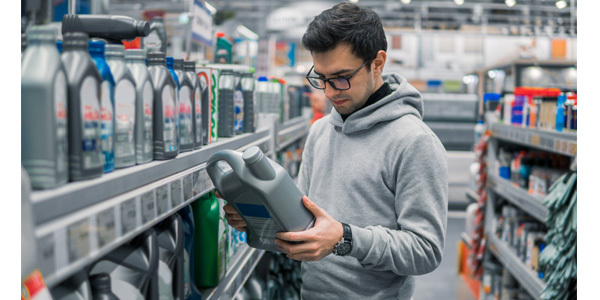 It’s not secret that as competition within the aftermarket has increased on the wholesale side of the business, profit margins have declined. As traditional distribution channels continue to ride through rough waters, there are many who feel that margins will continue to decline before they arrive at a stabilization point (if they ever will). Fortunately, the retail side of our business can still boast profit margins that we have been accustomed to. Not only are margins better but there also are not as many of the expenses involved as with the wholesale side of the business – for example, the expenses that go along with delivery service (truck maintenance, insurance, gas, etc.). Retail business comes to your store, and if they had a good buying experience, they probably will come back. I’m not saying that there are not expenses when investing in retailing. There are. Your advertising budget will have to increase. You will have to advertise effectively and often to attract customers to your store. And your store will have to be clean, well-lit and well-merchandised to prompt people to buy when they do come in. Several other considerations should be made. Most DIYers are cash customers. Where would your cash flow be without them? 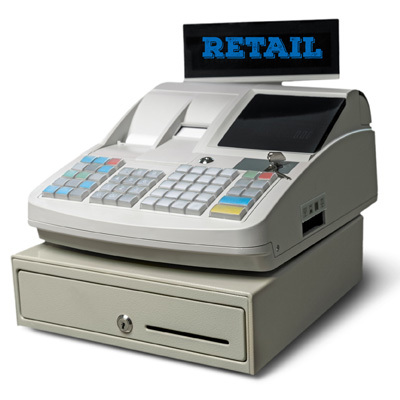 Past-due accounts are something that you won’t have to worry about when dealing with the retail side of the market. No net 20th. No giving away an extra 2 percent. No aged receivables. You can take your money to the bank at the end of the day. Much of the success of the retail-oriented aftermarket chains is due to their cash-flow position. At the end of business every day, they know their financial position. If the majority of your business is done with credit customers, can you say the same thing? The words “credit” and “risk” often are heard together for a reason. We all know that the retail side of our business is not totally rosy. There are some thorns to consider. Courting the retail customer may require longer store hours. This will result in either increased manpower needs or paying overtime to current staff. Whereas overdue accounts are not a consideration, a relative increase in the number of bad checks can be expected. Your policies will dictate just how big a problem this may become. Recent years have shown us an increased awareness of, and concern for, the environment we live in. The industrialization of our would that has led to our higher quality of life also has had a detrimental effect on our fragile earth. Although this awareness and many of the resulting regulations and laws have affected our entire industry, at varying degrees it has definitely had an impact on the DIY market. 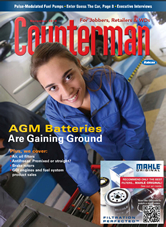 The recent restriction of sales of R12 refrigerant is a prime example. Air-conditioning work once was a common task performed by the DIYer. Today, they find themselves priced right out of the market. In an effort to protect the earth’s ozone layer, anyone wishing to service vehicle air conditioners must make a substantial ante just to get into the game. Most have opted not to play and now are relying on installers to service their A/C needs. Hazardous-waste legislation has affected the way many DIYers look at even their most common repairs and maintenance. Even when changing oil and filters, they must consider how to dispose of waste oil. And old batteries contain hazardous waste and must be disposed of properly or recycled. It seems that even the simplest of tasks has become complicated. Auto body work and painting have long been favorite pastimes of DIYers, but proposed legislation threatens to take this away from the list of repairs that can be tackled at home. Strict emission standards in various parts of the country have eliminated much of the modification that once took place by DIYers who were into the high-performance game. Although many of today’s performance-parts sales still go to the DIYer, much of their use has been restricted to the track and not the street. As alternative fuels become more common, or battery-operated cars appear, the future of the do-it-yourselfer lies in peril. And as this segment of the aftermarket declines, the number of firms that pursue it is increasing. So, as you look at the DIY market through even the best of rose-colored classes, the best that can be said is that competition for market share will be fierce.